Would you like to receive up-to-date information, crime prevention advice and news direct from OWL Cymru? Sign up to Community Messaging today! It only takes a minute and is completely free. Community Messaging uses North Wales’s award-winning OWL to keep you up to date with what’s going on in your police service. It is an automated system that emails you with useful information, news about your local police and crime prevention advice. It can also send short SMS text messages direct to your mobile. 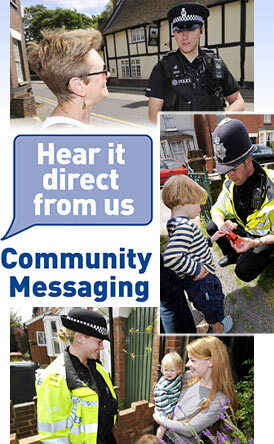 To receive Community Messaging you must be living or working with a registered postal address in North Wales. In most instances we will contact you by email. Should the need arise, occasional SMS text could be sent to your mobile phone for urgent or emergency incidents. After you have signed up to Community Messaging we will be able to send you messages of interest relating to North Wales and/or specific to your neighbourhood or district. OWL will send you around one or two messages a fortnight, although you may be sent additional messages should the need arise. This service is completely free. If you already receive messages via OWL as a member of a Neighbourhood Watch scheme, there's no need to register as you will automatically be sent Community Messages. When you sign up your details will be kept in a secure database purely for the purpose of communicating with you. Your details will not be shared with any 3rd parties and neither will they be transferred to other police or government databases. At any point you may request your details to be removed or do it yourself online. For support email the Community Messaging administrator. © Direct Path Solutions Ltd.